It was a warm, sunny Saturday morning and I was on my way toward the foothills of the North Cascades mountains. I enjoyed a picture-perfect view of Mount Baker just before dropping into the Nooksack River valley. 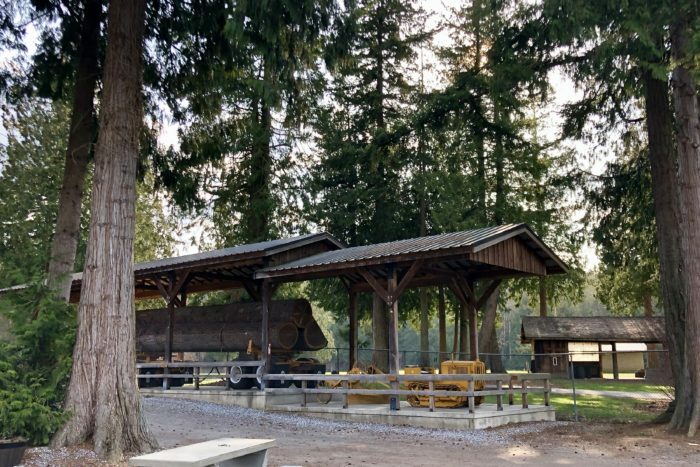 My destination, however, wasn’t the mountain, but a logging museum in the small community of Deming, WA. I was waved into the parking lot where I proceeded to count the number of Subarus (mine included!) and admire the array of stickers on the vehicles. Walking into the large hall of the museum I was welcomed by an exuberant woman who introduced herself as Zuul. 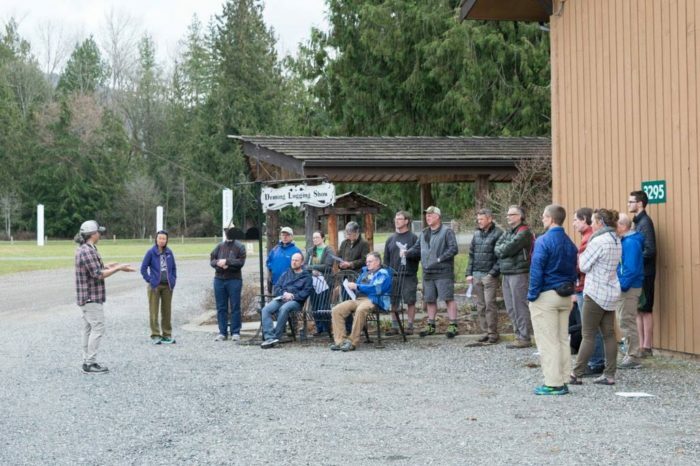 There were dozens of people mingling about, some with beards or a backpack, many in Altra running shoes, others in flannel shirts, cargo pants, or puffy jackets. I was back among my favorite people—backpackers and long-distance hikers. We were gathered together for a Ruck, a daylong event organized by the western chapter of the American Long-Distance Hiking Association (ALDHA-West). The purpose of the day was for backpackers of all backgrounds to come together and learn about long trails, how best to prepare for the upcoming season, and to connect with others in the hiking community. What’s All the Ruckus About? ALDHA-West organizes five Rucks annually across the western states. It was only the second year that a Ruck had been organized for the northwest corner of Washington. 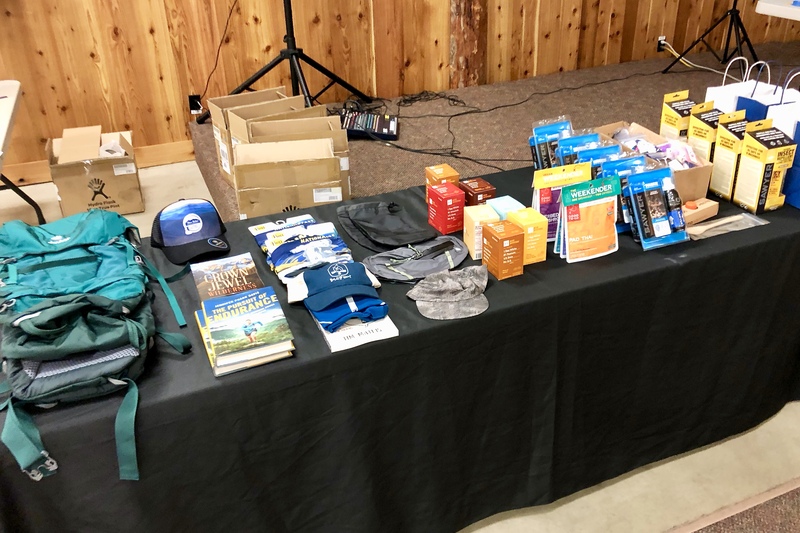 This event was somewhat different than the other four because it was organized in partnership with the Pacific Northwest Trail Association. There is one more ALDHA-West Ruck this year, in Coeur d’Alene, ID, happening on April 6. The Pacific Northwest Trail is a 1,200-mile trail running along the US-Canada border from Glacier National Park in Montana to the Olympic National Park coastline in Washington. 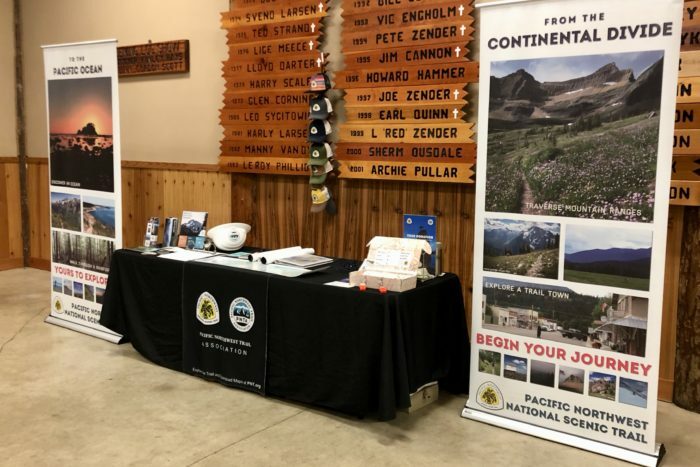 The trail is celebrating its 10th anniversary as a federally designated National Scenic Trail and wanted to co-sponsor the Ruck. Small groups gathered in breakout sessions. After grabbing some coffee and a bagel I settled in for our first group session: How Not To Die. This session focused on the ten essentials and how to handle the variety of hazards you may encounter on trail. I’m not entirely sure everyone was convinced they’d be able to survive the trail at all after this session. For the rest of the morning the group got to rotate through some of the half-dozen breakout sessions about skills, gear, and planning. A couple attendees had brought their backpacks for a pack shakedown with an experienced long-distance hiker. Others learned about lightweight gear, self-care on the trail, how to navigate with maps and apps, and nutrition and resupply options. Lunchtime provided a welcome break to meet other like-minded folk in the area. I was lucky enough to connect with a couple of other women who live near me. We shared our hiking histories and goals and we committed to getting together for a hike within the next week or two. 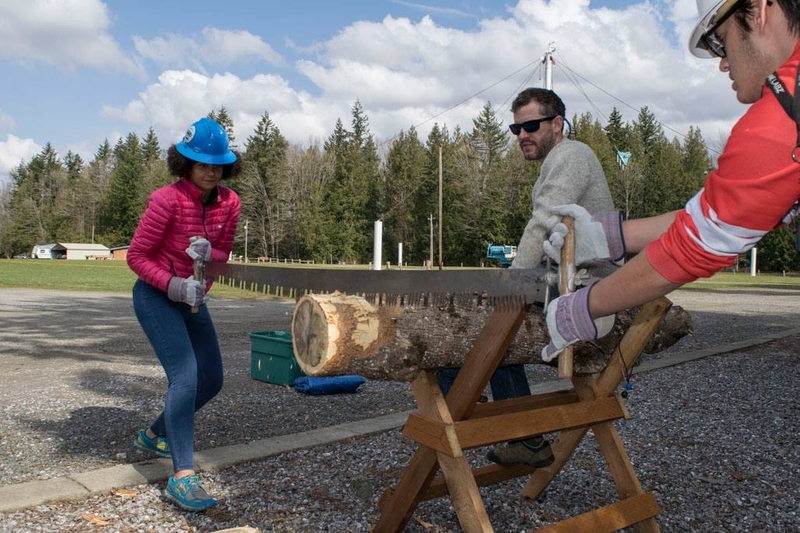 Before the end of lunch break we were all invited outside to watch some of the PNTA staff demonstrate how to use an intimidating-looking two-hand crosscut saw. This is one of the tools used for trail maintenance in remote and wilderness sections. The guys handling the saw made sure to emphasize that trees on trail aren’t usually lying horizontally on a sawhorse at a perfect height to cut through. Trail work crews are badass. The sunshine and spring air was refreshing. I couldn’t help but joke how ironic it was that all of us outdoors people were stuck inside all day during a hiker event. To start our afternoon we were treated to a talk by Lauren Danner, author of Crown Jewel Wilderness: Creating North Cascades National Park. Lauren describes her book as a political thriller, spanning the decades-long negotiations that ultimately ended with the creation of the North Cascades Complex, a combination of national park, national forest, wilderness, and national recreation areas. This story is especially poignant because both the PCT and the PNT pass through North Cascades National Park. It was a fascinating peek into the behind-the-scenes work needed to formally protect these wild and natural spaces that we love so much. Learning important skills for hiking the PCT. Finally it was time for the key breakouts of the day: the nearby trails. 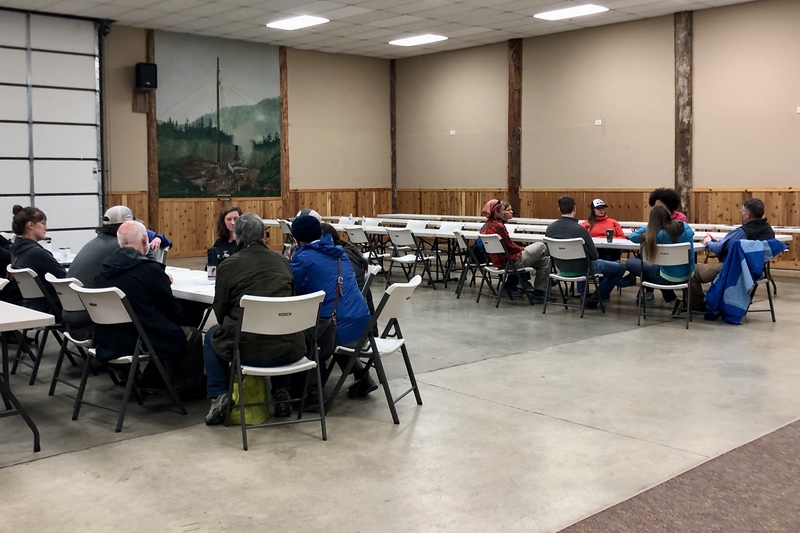 We had the option to participate in discussions about five nearby National Scenic Trails: the Pacific Northwest Trail, the Pacific Crest Trail, the Continental Divide Trail, the Wonderland Trail, and the Oregon Desert Trail. 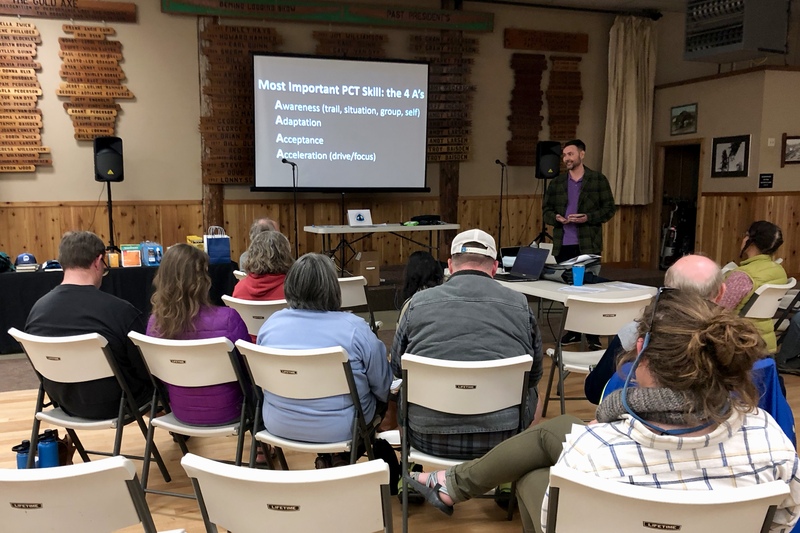 I first sat in on the Pacific Northwest Trail session led by Siddhartha. I was most curious to hear about updates on the condition of the trail and to learn what the focus is for trail work crews this summer. There are a number of nearby sections requiring hikers to walk on the road and through active logging areas. Forest fires over the past few years have made the trail more challenging through some wilderness areas east of the North Cascade mountains. 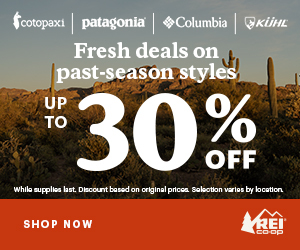 The trail is ten years young and still a wild, remote, and adventurous thru-hike. Next I joined Swept Away to learn about another adventurous trail: the Oregon Desert Trail. She had hiked the 750-mile route in Southeastern Oregon in the fall with a couple other ALDHA-West members. Swept Away regaled us with tales of swimming the river in the Owyhee Canyonlands, climbing up and over the nearly 10,000-foot Steens Mountain, and befriending antelope in the Hart Mountain National Antelope Refuge. She also told us about the hundreds of snakes, the intense heat and exposure, and how sand in her gear was a constant challenge. As our group broke we were all pretty much in agreement that a thru-hike of the Oregon Desert Trail was pretty well out of the question. For the last session I ended up wandering around a bit to listen in on the other trails. The 93-mile Wonderland Trail was by far the largest group. Mount Rainier dominates the horizon for hundreds of miles in all directions and the idea of hiking around the mountain is captivating for many. It’s also a shorter and less logistically challenging long trail for hikers with less experience or endurance. Swag and gear for the raffle. Our day together was coming to a close but we still had the raffle draw. The raffle prize table had been on display all day, filled with great swag and gear. Dozens of tickets were pulled and happy hikers walked away from the table clutching their prizes. It had been a great day of learning, socializing, planning, networking, and dreaming. Hiking is a very personal and often solo activity. Having the opportunity to come together and interact as a community is something special that the ALDHA-West Rucks offer. Given the chance to participate in a gathering of hikers, I always say go! You’ll feel more connected and inspired by the experience. ALDHA-West is sponsoring one more Ruck this spring, and their Gathering is happening in September. Find out more here.